We provide unique White Label solutions for starting a Cryptocurrency Payment Gateway or Digital Asset Exchange. You build the business, we take care of the technology. 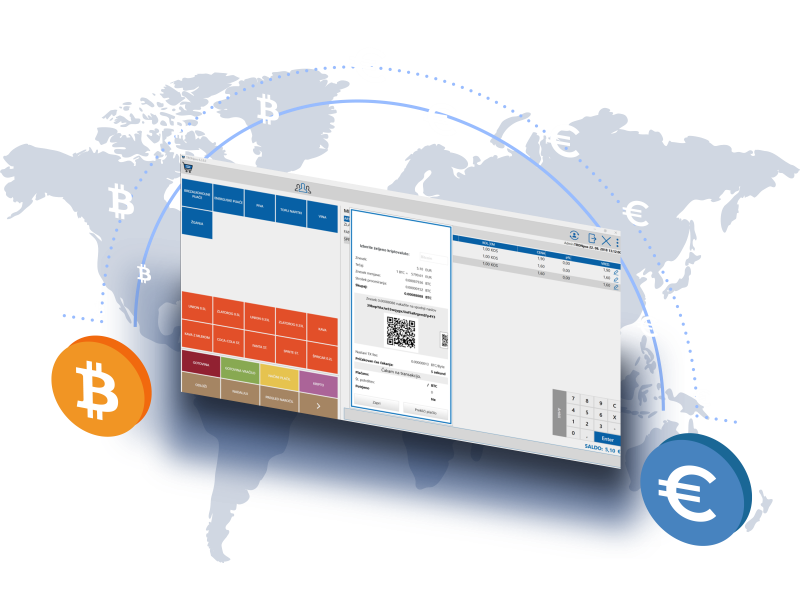 Now you can run your own payment business: offer merchants and online stores a full solution for accepting payments in cryptocurrencies. Earn revenue from every payment your merchants receive in crypto! We will provide you with a complete turn-key solution with the highest level of technology and security in the crypto payment industry. This is an easy, fast and low-cost track to launch your own crypto payment business. Start your own digital asset exchange and trading platform for cryptocurrencies, utility tokens, security tokens and tokenized assets. We will provide you with a complete turn-key solution for operating an exchange, including custody, KYC/AML checks, and customer support. Stand out from the competition – offer your users the world’s first Smart Exchange platform! We can also assist you with obtaining a licence for listing security tokens. 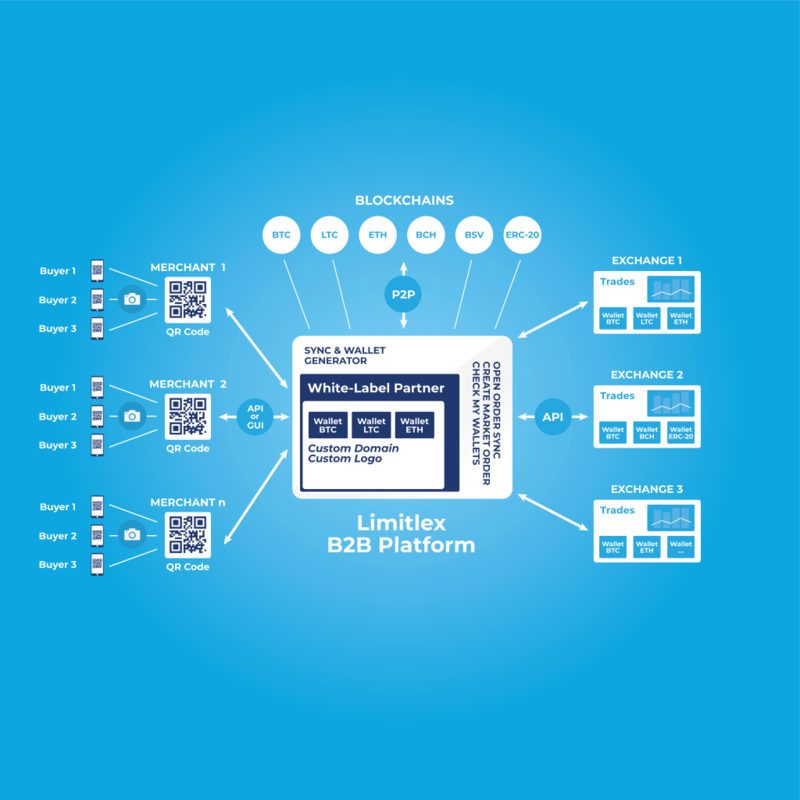 Limitlex Crypto-to-Fiat Payment Gateway is an easy-to-use solution for merchants to accept payments in various cryptocurrencies, with automated conversion of received crypto payments into fiat currencies. Consumers can pay directly from their own crypto wallets, which opens up the possibility of crypto payments to a vast number of customers. Our payment gateway can be used for accepting crypto payments by online businesses or by physical stores, restaurants, bars, etc. API protocol for integration into merchant’s existing POS software, which allows a seamless addition of crypto payments to merchants’ existing business operations. Our technology is very fitting for full integration into various POS systems and our API protocol has been built in a way that it is very easy to be integrated by POS vendors. Merchants, Start Accepting Crypto Now! Our White Label Partnership Program provides you with an easy way of setting up your own cryptocurrency payment gateway business, which can be fully branded under your own brand. We provide a complete turn-key solution (back-end and front-end), including our cloud-based Platform-as-a-Service (PaaS), maintenance, security and API protocols. We take full care of the technology, so you can focus on building your business and acquiring merchants and users. If you want to offer your merchants the ability to accept payments from their customers in Bitcoins or other cryptocurrencies, this is the service you want to use! Our White-label Partnership Program might be particularly relevant for the following businesses: acquirer banks, payment facilitators and aggregators (PF), payment institutions (PI), payment service providers (PSP), POS providers, ERP vendors, independent sales organizations (ISO), agents and resellers. Fully branded cryptocurrency payment gateway allows you a quick market entrance with your own brand. Quick start (set-up is normally done in one week). Cost-effective solution with a revenue-share business model. No costly software and blockchain development and maintenance. Automated exchange of crypto funds into fiat via reputable exchanges. Built for trading cryptocurrencies, digital assets and tokenized securities, our sophisticated software architecture has high processing performance which allows us to scale the platform for the maximum trading volumes. A set of API’s will make the exchange fully functional also for institutional and high-frequency professional traders. Security and customer privacy are our top priorities, which is reflected in our development as well as security protocols based on ISO/IEC 27000 standard. Be among the first to launch the SMART Digital Asset Exchange and take a step ahead of the competition! Our White Label Partnership Program will provide you with a comprehensive and complete turn-key solution (back-end and front-end) to launch your own smart digital asset exchange, fully branded under your own brand. Our platform will allow you to start a smart digital asset exchange without having to invest in software development and infrastructure, and we will provide a fully hosted Platform-as-a-Service (PaaS), maintenance, security, custody of digital assets, technical support, KYC/AML verification solutions, and customer support. Our team comprises highly skilled software and blockchain developers, IT security experts, business developers, trading experts and advisors. Since we are building the world’s first Smart Digital Asset Exchange with an array of advanced trading features and intelligent structure for portfolio management, our white-label partners will have an advantage of offering their clients the very best. 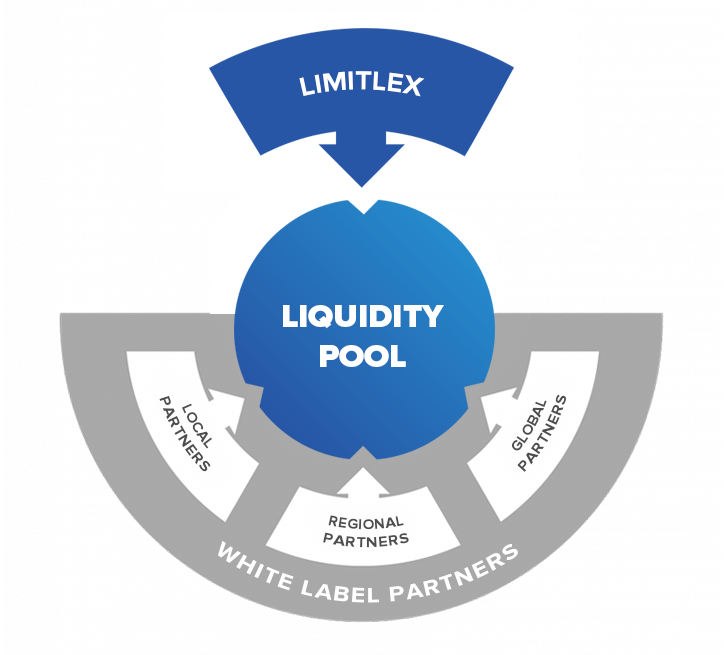 White-label partners can also share in the order-book liquidity pool, so they can provide higher market liquidity to their users and thus bring about more trading activity. Besides providing the technical set-up of the exchange platform, we can also assist you in obtaining a licence for operating a Security Token Exchange compliant with the EU’s MiFID II directive. We can assist you in obtaining the licence in several European jurisdictions. Join the future of asset tokenization! We are now accepting new partners for setting up their fully branded Smart Digital Asset Exchange. We can accept only a limited number of partners for the first release, so please contact us below to reserve an early launch. We also welcome financial institutions, brokerages and traditional stock-exchanges: if you are considering to launch a platform for trading tokenized securities (i.e. security tokens), this is the service you want to use! SMART Digital Asset Exchange will put you ahead of the competition. Fully branded under your own brand. Low-cost set-up and revenue-share business model. 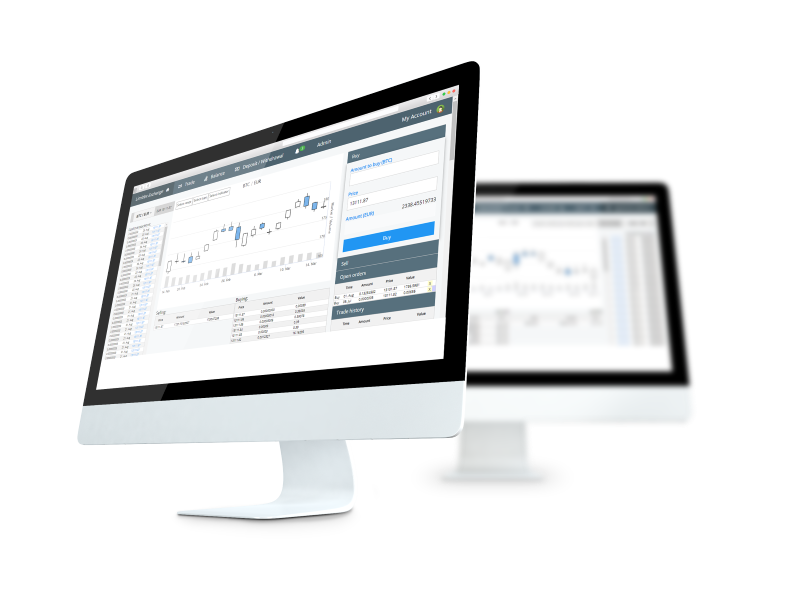 Tailored exchange with your choice of currencies, trading pairs, languages, features, design, layout, etc. Liquidity sharing will increase the trading activity on your exchange. Custodial service with highest security measures. Assistance with acquiring licence for operating Security Token Exchange.